The statistic depicts the results of a survey about the average expected Christmas spending of U.S. consumers as compared to the respective previous year from 2007 to 2018. The percentage of people intending to spend less on Christmas goods than in the respective previous year has been decreasing since 2008, whilst the share of people spending more on Christmas goods has been gradually increasing from 2008, reaching 13 percent in 2018. 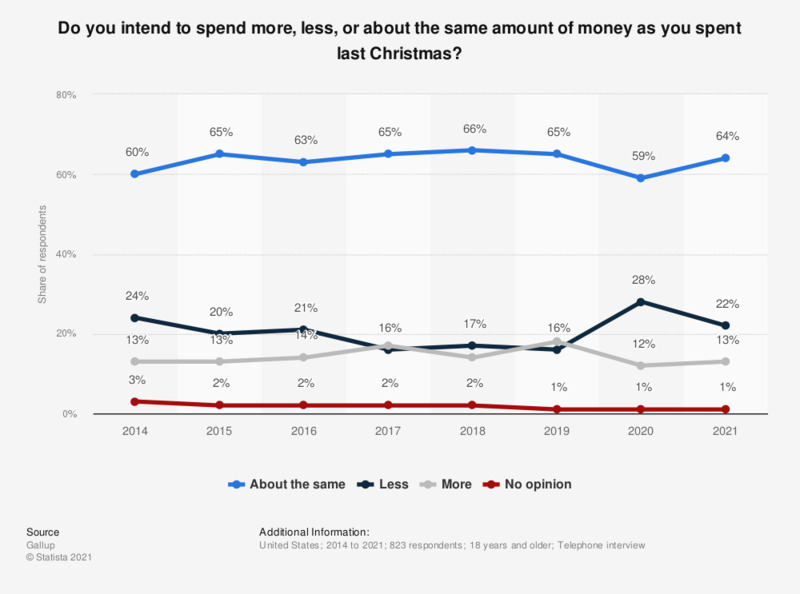 Referring to the amount of money U.S. consumers intend to spend on Christmas, the source posed the question as follows: "Is that more, less, or about the same amount as you spent last Christmas?"